Make sure to mark your calendar for the many wonderful Nunan’s holiday events and floral classes during November and December. Nunan Florist & Greenhouses is one of the largest retailers of outdoor winter décor, such as greens, roping, wreaths, and Christmas trees. We also grow over 20,000 poinsettias annually, all grown in our 20 growing houses on site. This coming holiday season is bound to be a busy one over at Nunan Florist & Greenhouses. 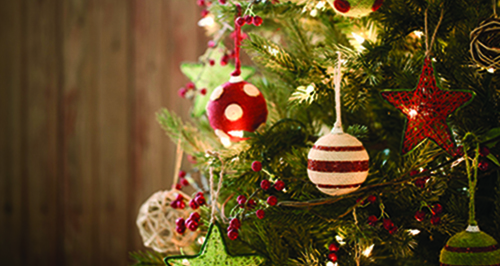 Come visit us in Georgetown for your holiday décor, both inside and out. Your certain to find everything you need and you can also visit Nunan’s at our West Newbury location, formerly Knapp’s. We have been busy organizing fun, holiday events and floral classes to help our customers celebrate the holiday season. Call your girlfriends and kick off the season with Ladies Night on November 15th 6-8 pm. Mark your calendar for the Nunan’s Holiday Open House, November 25th, 10 am – 4 pm, an event that is always fun for the entire family. Delicious Kane’s Donuts and other refreshments will be served, and Santa will be visiting! Come capture a keepsake family photo. 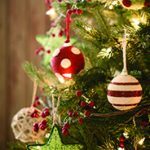 Let the children visit with Santa and munch on a delicious donut, then venture outside to browse our endless bunches of Christmas greens and our sea of Christmas trees. Last, but certainly not least, Nunan Florist & Greenhouses boasts a team of talented floral designers who are eager and ready to help you create a beautiful holiday centerpiece for your dinner table or to bring as a hostess gift. Bring your ideas to our girls in the florist shop and watch them create the perfect centerpiece to celebrate the holidays. Have you been to Nunan’s lately? Last year, we proudly opened Kallie’s Kones, a full-service ice cream parlor, and Garden Golf, a premier 18-hole, beautifully landscaped mini golf course. Our General Manager and Co-Owner Stephen Flynn, Jr. came up with the idea of building a miniature golf course to our property after seeing a rise in agritourism—a term that simply means an activity or attraction that brings visitors to a farm. Wanting to venture away from corn mazes, Stephen began planning for a miniature golf course. Construction began shortly after, and on July 29, 2016, Nunan’s Garden Golf celebrated its grand opening with a weekend of miniature golf, hot dogs, and ice cream! 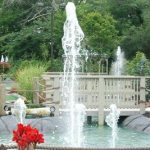 Nunan’s Garden Golf is in the quaint town of Georgetown, MA, surrounded by our growing greenhouses,and a full-scale garden center, flower shop, and landscape company set on our 22+ acre lot. It’s not your run-of-the-mill mini golf course, as Garden Golf boasts no windmills or dinosaurs. Instead, our 18-hole course is set amongst a beautiful botanical garden that has some of the most alluring and unique annuals, perennials, shrubs, and trees that grow in the northeast. 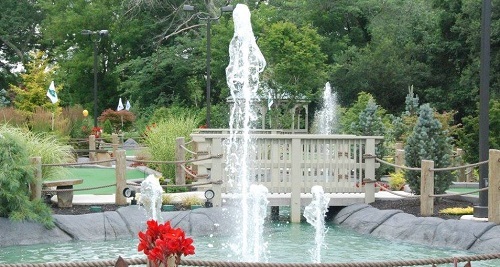 The course takes you over bridges, through water hazards, by an 18’ waterfall and many other obstacles that make it a fun and challenging experience for the entire family! Throughout the garden, each plant has an identification label and our scorecards are designed with a “Plant Wish List” on the back of it so that you can write down what you like. After your game of golf, you can walk through our beautiful blooming front displays to our ice cream parlor and enjoy a Richardson’s ice cream as you shop for the plants on your wish list. Now, Nunan’s Garden Golf has opened its doors to new opportunities within the community by offering a number of different programs, including youth programs and field trips, private events such as birthday parties, fundraisers, and corporate events. Garden Golf and Kallie’s Kones have already hosted a number of birthday parties and they’re a huge hit! Hosting a corporate event for your business? Try something new and host a mini golf tournament for your employees. Many companies have standard golf tournaments, but the problem with that is not everyone plays golf and it takes an entire day. Mini golf is comparatively shorter, sweeter, and easier to play! With a Nunan’s Garden Golf corporate event, you can bring everyone together for a fun-filled day. Mini golf is a great outing activity for your employees—it helps improve communication amongst coworkers, helps employees get to know each other better, celebrate company achievements, show appreciation, energize your team, and boost morale. At Nunan’s, you can rent the entire area to play mini golf, bring in food or have it delivered, play music, or host family games, company awards, and presentations. 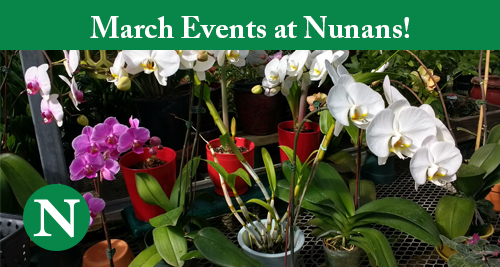 Nunan Florist & Greenhouses, located at 269 Central Street in Georgetown, is offering a March-full of classes to evoke your floral and botanical creativity. Additionally, we are thrilled to announce the opening of Nunan’s Mini Golf and Kallie’s Kones ice cream stand — weather permitting — Saturday, April 1. We’ll keep you posted. 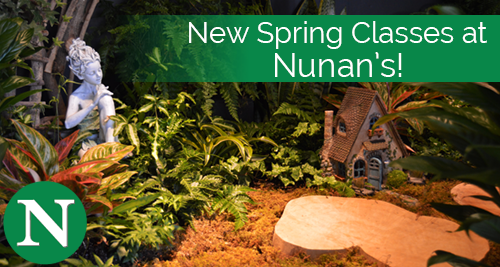 View our list of March classes below and register today at 978-352-8172 or info@nunans.com. Awaken your inner child with our class on Fairy Gardens for Adults class! Our Fairy Garden Classes have been very popular and now we will be holding a class for adults. Our greenhouse is a great space to be working in to create a flourishing environment of small tropical plants and hideaways that any fairy would love. Choose from a selection of small tropical plants and other supplies to create your own keepsake fairy garden. No up-front fee — Cost is dependent on which supplies you choose. Become the life of your St. Patrick’s Day party with our Celebrate St. Patrick’s Day class. Those ‘lucky’ enough to attend will create a Green Mug ‘o Beer Arrangement along with a corsage for the missus and boutonniere for her man — a delightful evenin’ for all! May the luck of the Irish be with you. Pittance for the class is $25. Sat. March 25th 1 p.m.
No better way to welcome spring than to create your very own fresh flower arrangement mindful of colors, light and textures of Monet’s Garden. Choose from an assortment of fresh spring florals guaranteed to bring life to any space. Join us for our Monet’s Garden Arrangement class and be inspired. 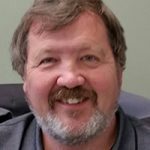 Cost for this class is $35.00. 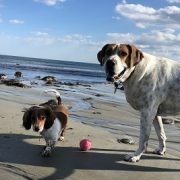 Nunans is currently finalizing a full slate of classes and workshops for the month of April. 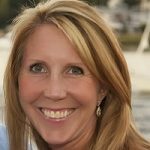 Paint-In: January 8, 15, 22 and 29 from 10:00 a.m. to 2:00 p.m.
Exhibit: January 29, 12:00 to 3:00 p.m.
Nunan’s & The Greater Haverhill Arts Association are joining together to showcase the works of local artists. The artists will be working on site four Sundays in January, setting up easels in the greenhouse. 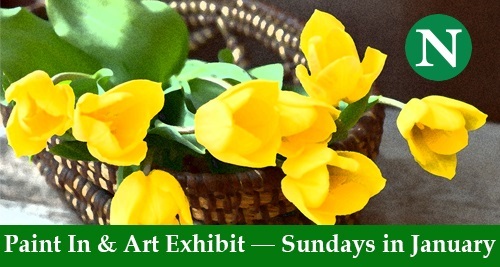 If you enjoy art, stop by Nunan Florist and Greenhouses, 269 Central St., Georgetown, and watch local artists as they paint the colors and textures of Nunan’s Then they will exhibit their art on Sunday, January 29, 2017. 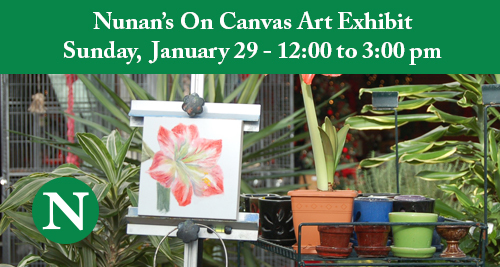 To the Artist: Greater Haverhill Arts Association and Nunan Florist & Greenhouses invite local artists to paint on site at Nunan’s in Georgetown Sundays in January then show their work at an exhibit Sunday, January 29, 2017. Artists will enjoy painting the colors and textures of Nunan’s. In the serenity of the greenhouses create a still life from the vast array of beautiful flowers and amazing plant life. (Jacob the parrot is great at modeling too!) 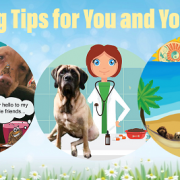 Show the public how the magic happens and gain exposure. Bring whatever medium you choose. You may sign-up for one week or all four. There is no fee to participate. Want to display your art at the exhibit? Please contact Ann Jones at info@haverhillartassociation.org.